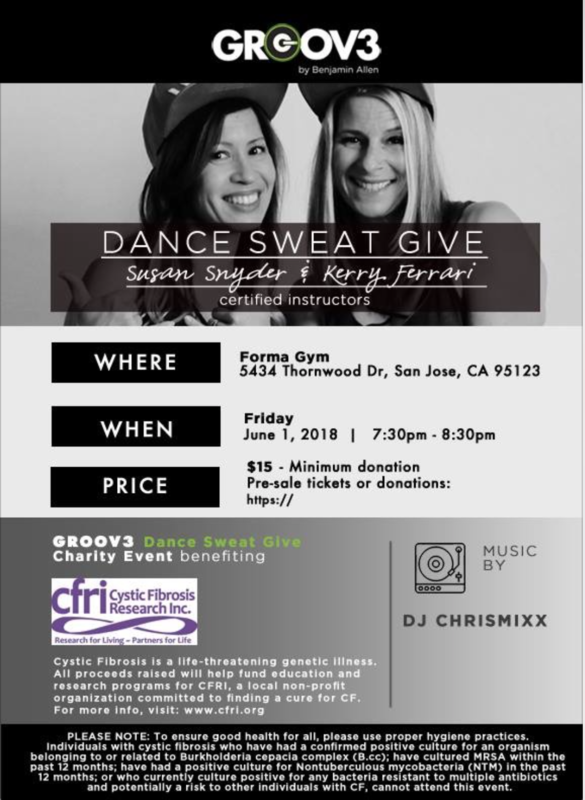 Join Kerry and Susan in San Jose for a Charity Event benefiting CFRI on June 1 at 7:30pm. All proceeds will be donated to help to find a cure for cystic fibrosis. Invite your friends and family! Open to all and for all dance levels!! Donations will be 100% tax-deductible. Beats provided by DJ Chrismixx.